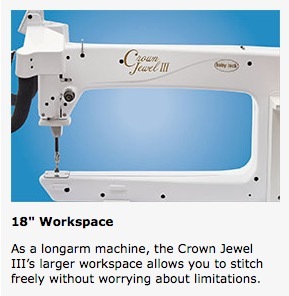 With an 18-inch throat space, the Crown Jewel III is the most popular size in longarm quilting machines and is ideal for quilters looking for more workspace and software. 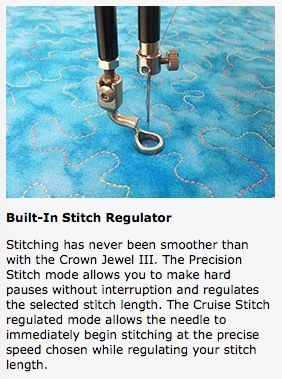 This feature-rich machine sews at an impressive 2,200 stitches per minute, while its built-in stitch regulator and Precision Stitch mode ensure smooth, precise stitching, even after hard stops and pauses. 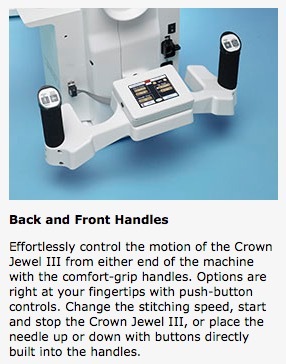 The Crown Jewel III also includes a new quick-set tension that allows you to easily adjust upper thread tension and view your settings on the digital LCD readout. 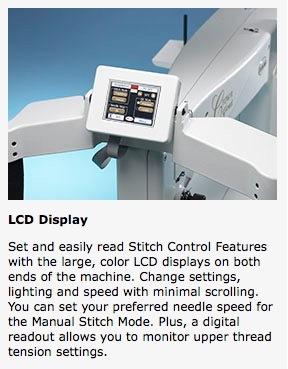 Additionally, its enhanced LED light ring better illuminates the needle area – where you need light most. 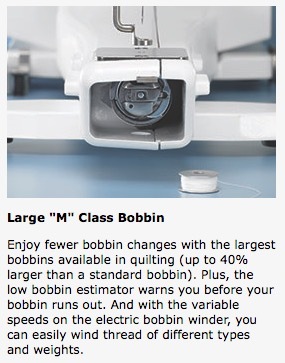 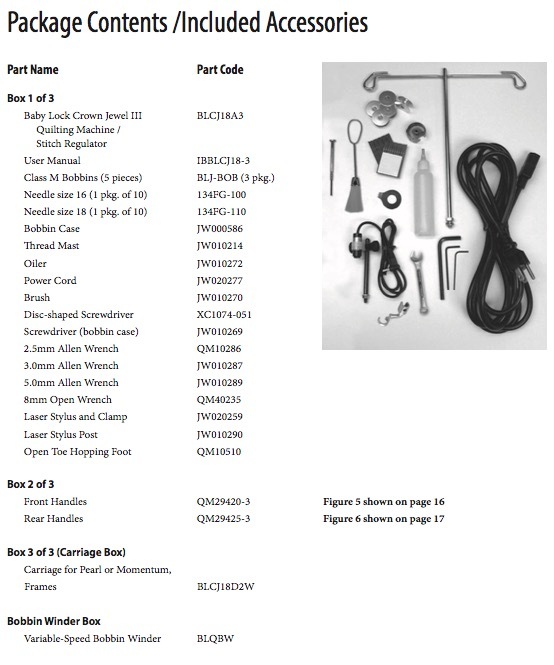 baste layers every 1/2", 1", 2" or 4"
• Machine weight with handles - 68 lbs.